If you have been a victim of an accident, no-fault of your own, and got injured with broken bones or other orthopedic injuries, you deserve compensation under Canadian Tort laws. 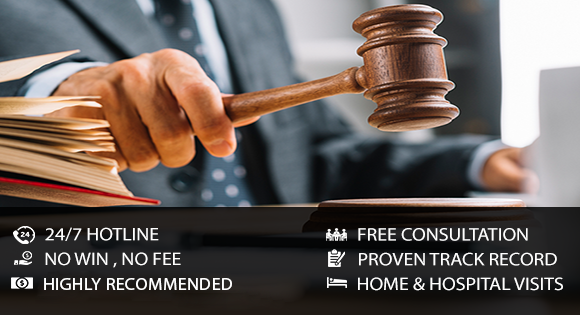 However, to ensure that you get justice, and the compensation for the trauma and medical treatment, you need proficient and experienced lawyers like us. Basic knowledge tells us how serious orthopaedic injuries can be life-altering experiences, which can adversely affect a personâ€™s ability to function every day, for the rest of their lives. Suffice it to say, it can significantly degrade their quality of life. After suffering any one of a number of these injuries, you should seek out medical attention immediately. In some instances, your orthopaedic injuries may require surgery, in order to repair the damage that has been done to bones, ligaments, and/or tendons. If you or a family member was involved in an accident and has sustained any one of a number of orthopaedic injuries, the legal professionals of BLPC Law are here to handle your claim. If another person was responsible for your injuries, you could be compensated for any losses that are attributed to your accident. We will see that you get the proper care and equitable compensation you deserve. Many of our clients have suffered orthopaedic injuries and were left with chronic pain, long-term damage, physical impairment, and serious infections. Most importantly, the BLPC Law legal team fully understands how immobilizing orthopaedic injuries can be, as well as the long-range implications that arise from the more serious maladies. Consequently, your lawyer will work hard in order to ensure that the at-fault partyâ€™s lawyer, and your insurance provider, understands how your injuries have adversely affected you. Plus, we will make sure that they recognize how it will continue to have an impact on your normal daily activities, as well as your enjoyment and quality of life. By working tirelessly on your case, we will advance your personal injury claim; and assist you in getting the compensation that you deserve. In so doing, you will be able to focus on your personal health and well-being. The personal injury lawyers at BLPC Law have the necessary experience and expertise to skillfully represent you, and advance your orthopaedic injuries claim. We are renowned for providing an educational approach to all personal injury claims, in order to ensure our clients that they are properly informed legally, and medically, throughout their case. By contacting us today, you will be assured of having the best legal representation for your orthopaedic injuries and personal injury claim. For more information, contact us today.